Serving the town of Searsport, Maine since 1910. No storytime Thursday the 25th and Friday the 26th. All events are at Carver Memorial Library unless otherwise noted. Register by Monday or this class may be cancelled! We need 5 registrations to hold the class. End of life care is not easy to talk about but these are some of the most important conversations you can have with your loved ones. This free class will help you consider what is most important to you so you gain confidence with starting end-of-life care conversations on your own. Free! Register online with Journey to Health. Enjoy tea, finger sandwiches, and sweets with family, friends, and community members. Featuring harpist Jean Goldfine during the first seating. $15.00 per person benefits the library. Call or visit for reservations. Are you feeling disorganized? Do you find yourself overwhelmed with too much stuff? Decluttering 101 can help you identify different types of clutter and develop a strategy for tackling it once and for all. You will leave with an action plan to help you clear out what you don't want so you can truly enjoy the things you love. Free! Register online with Journey to Health. 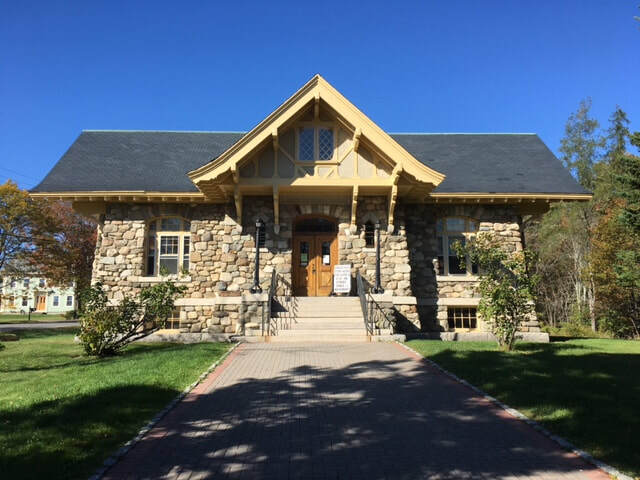 Carver Memorial Library Association board meetings take place in the Reading Room beginning at 5:30pm and are open to the public. For more information about the Board and Board membership, please call the library at 548-2303. Carver Memorial Library has gone fine-free on all our materials, and forgiven any fines on borrowers' accounts. We want everyone to be able to enjoy the library without the barrier of fines. (We will still charge for lost or damaged items.) There is now a "conscience jar" on the counter for those with late books who may want to contribute. We have also extended our regular loan from two weeks to four weeks. We hope this helps people return items on time for others to use. If you have any books or movies sitting around that may be overdue, now is a great time to bring them back!